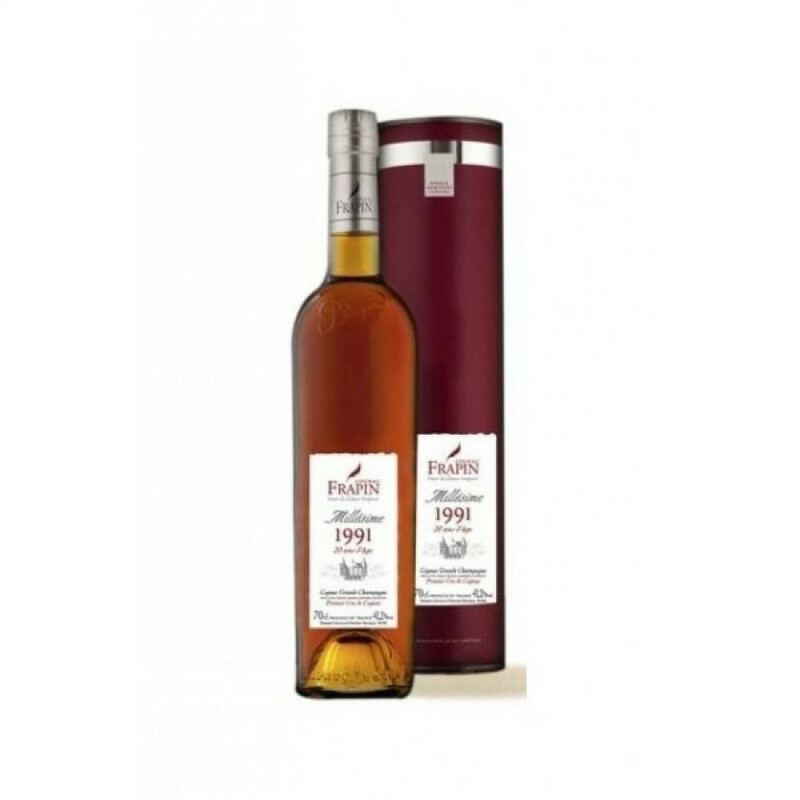 The Frapin 1991 Vintage Château de Fonpinot Grande Champagne Cognac is a wonderful vintage offering by this artisan Cognac house. As the name suggests, it's from the Grande Champagne harvest of 1991 - a year that's become infamous in Cognac history as the year that frost eradicated much of the spoils of the harvest. Therefore this is a rare and special year - one that any connoiseur will be delighted to have the opportunity to appreciate. Awarded the trophy for 'Best Cognac' at the ceremoney of The Honorable Artillery Company, London - July 16 2013.